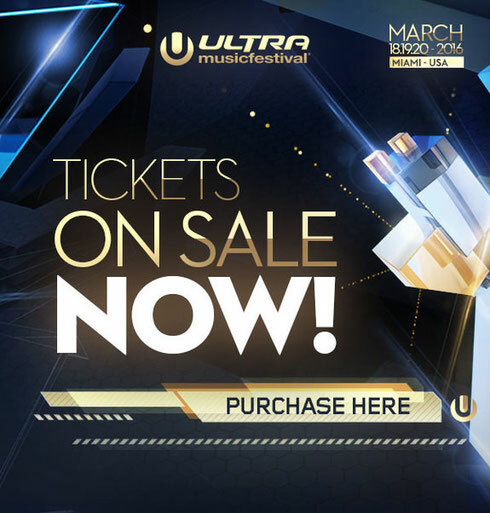 Following the 17th edition of Ultra Music Festival Miami earlier this year, which welcomed some of the biggest stars on the planet including surprise performances by Justin Bieber, Ariana Grande, Usher and Diddy, tickets for the 2016 edition are now on sale. For those who were lucky enough to have registered prior to 4 May, the opportunity to be at the 2016 edition is now here with a limited quantity of tickets on sale at a discounted price. The exclusive sale is on now with Tier 1 Early Bird prices starting at $249.95*, nearly half that of the full cost of a ticket last year. Once these have sold out, Tier 2 Early Bird tickets will be available from $299.95*, before a limited amount of Tier 3 GA passes go on sale at $324.95*. Following this sale, tickets for Ultra Music Festival 2016 will then be made available to the general public from September 2015. The first official teaser from Ultra Music Festival 2015 is also now available for all to see, with the introduction of ‘Memories’, a three-minute video shot in collaboration with UMF Films and Charly Friedrich’s FINAL KID team. Showcasing the events that transpired across the three days, ‘Memories’ transports you all the way back to Ultra Music Festival 2015. With Easter falling on the usual March dates for Ultra Music Festival – the 2016 edition will be taking place on 18, 19 & 20 March 2016.